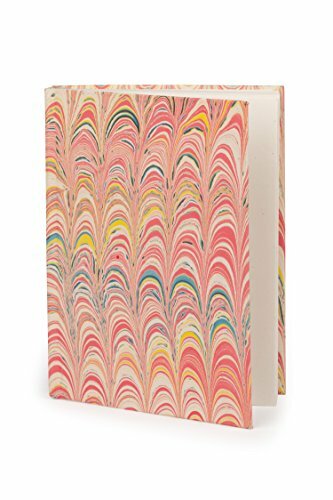 Handmade paper pages are bound in an exquisite marbleized cover pretty enough for your clever ideas. This beautiful journal was handcrafted by women working with our fair trade partner Prokritee in rural Bangladesh. In addition to steady, fair wages and safe workplaces, Prokritee provides training in new techniques, like marbleization to help women expand their skills. Our handmade items are ethically sourced with a focus on sustainable producer relationships.